Would you like to buy this song? I know we all know the problems with iTunes. But this is so odd. Seeing this a lot recently due to not understanding iTunes Match or iCloudTunes or whatever it's called. I have to go into the store to find a song I know I have. I have to click to "buy" the song, it asks me for my password (again) and then it says, "You have already purchased this item. Would you like to download it for free?" Considering the interaction pattern knows I was attempting to pay money for it, I think they could safely assume I'd be happy to download it for free. And then to confirm that I have to click "buy". I know this stuff takes lots of work, but this feels so wrong and pretty straight forward to fix. It's not complicated, it's just hard. 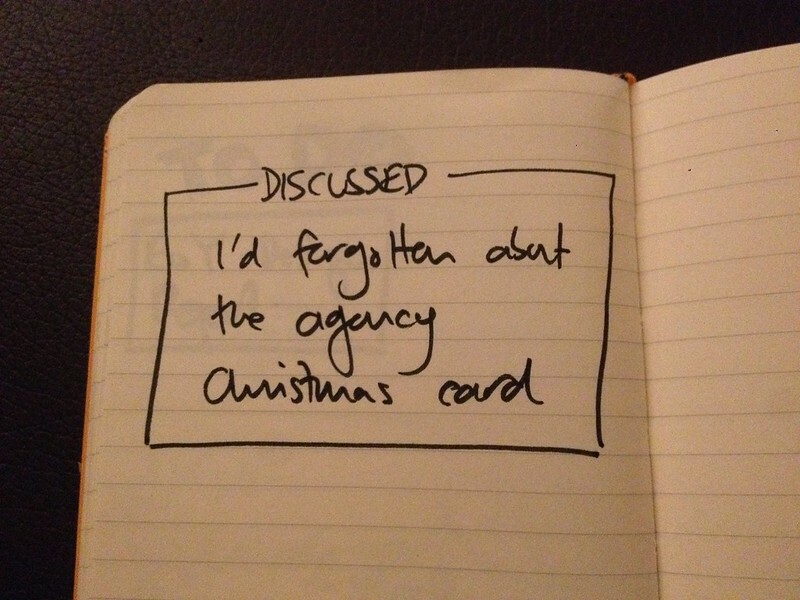 I'd forgotten about the agency Christmas card. It seems like today is the day most of them get sent out. There is a difference between saying you're doing "innovation" or just saying innovation a lot, and doing something that is innovative. I read somewhere that for <large number> of "innovation units" only <single digit number> of them had actually delivered a product or service. 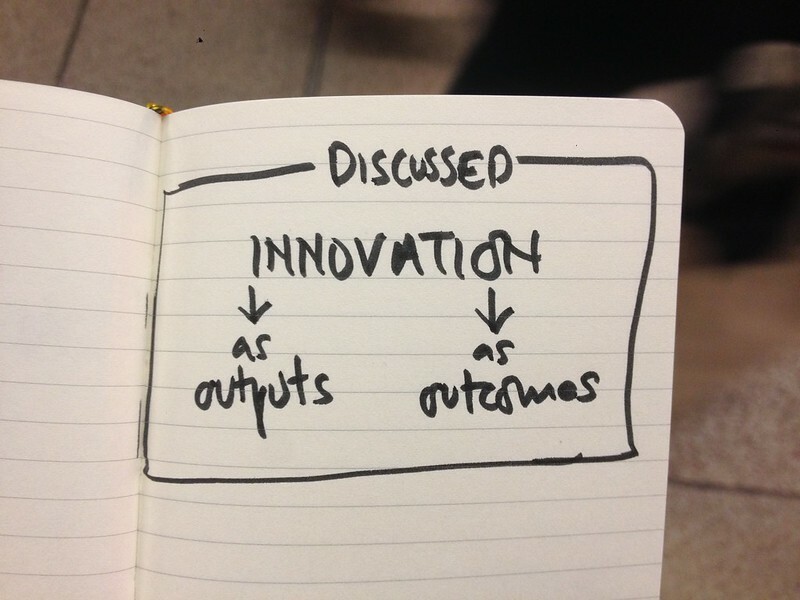 Mostly what we do is Fix The Basics, not Innovation. Turns out lots of people think that's innovative.